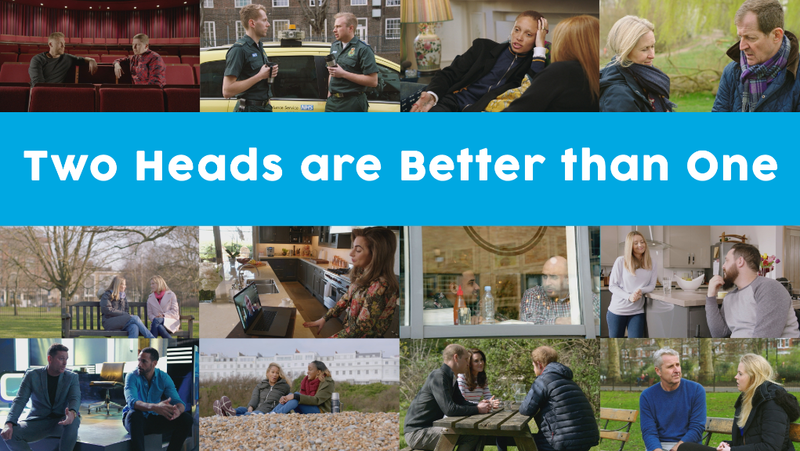 Dan and I work together as a team on an ambulance in Blackpool and we are proud Champions of Mind’s Blue Light Programme. 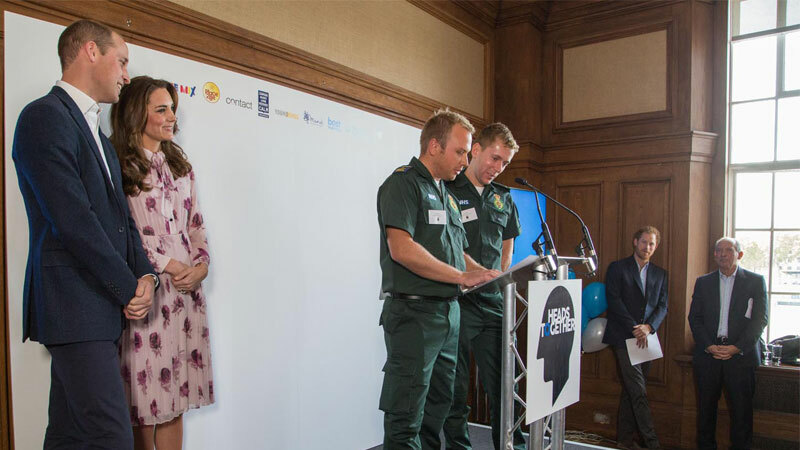 We are really pleased to have the opportunity to share our story with the Duke and Duchess and Prince Harry. I’ve been working in the ambulance service for 11 years. I started off in the control room, taking 999 calls. I’ve now been on the road for 6 years and I love it. It can be hard though. My mental health issues started about a year and a half ago. I went to a job that involved child abuse. It was awful. We did everything that we could, but unfortunately we weren’t able to save the child. At work, I wasn’t acting like myself; I wasn’t socialising with colleagues, and generally not interacting with people. It affected my home life too – it made me a grumpier person, and my patience was a lot shorter. It even started to affect my sleep, and I found myself having vivid nightmares about it. At the time, the mental health support at work wasn’t as well-developed as it is now and I didn’t know where to access support. One day I thought I’d drop Rich a text to see if he was around for a chat. I remember watching my phone, willing a response to come through, but within minutes, Rich was calling me. He came straight round to mine and we had a cup of tea and just talked. The relief I felt for confiding in Rich overwhelmed me, and I wish I’d done it sooner. He reassured me that this wasn’t something to be scared of and we talked through my issues, and he helped me figure out what I needed to do. I realised that I already knew what I had to do, but the power of this conversation was all I required to push me into doing it. 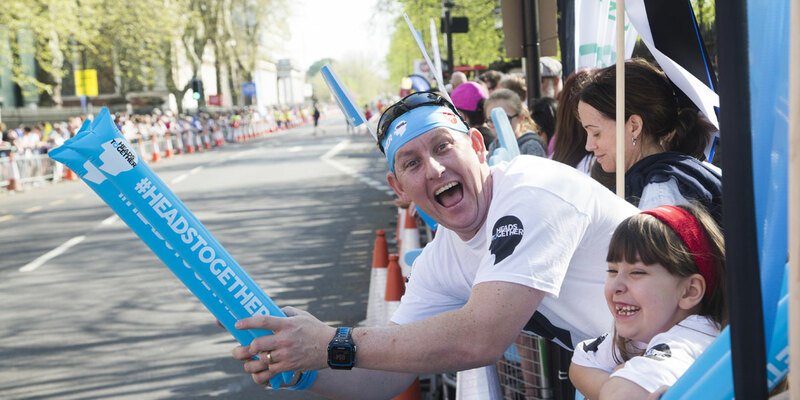 With Rich’s support I went to my GP and started to see a counsellor which really started to help me. I was eventually diagnosed with post-traumatic stress disorder. I spent about four months off work, and had counselling throughout that time. Doing that, and having time for reflection, helped me a lot. Talking to my peers, especially Rich, has also been a massive help. It helps me realise that what I’m going through is normal, and that many people experience things like this from time to time. Rich and I work together every day, and we have developed a really strong bond. Rich was present at my wedding and is the godfather to my youngest child. We have shared some great experiences together, but some dark times also. I’m sure Prince William with his experience of working on the air ambulance can fully appreciate this. I can’t thank Rich enough for being there for me. As I found out, listening is the most important thing you can do. It showed me that I was never alone. The first time I met Dan was when we started our training together. We actually got off to a rocky start as he accidentally left me behind at a job when he thought I was getting a lift back in another ambulance. As you can image, I often remind him of this! 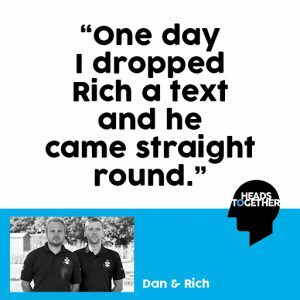 When I received the text from Dan I knew straight away something was wrong. I had noticed that for the previous few months he was withdrawing from social situations at work. He is usually quite a jokey character, but he stopped socialising with the team and he became very quiet. In this job you often see things that stay with you, and when you’re working together, you have to be able to look out for each other. When he reached out to me I knew I needed to be there for him – to be a listening ear, offer advice where needed and simply just be a friend. Dan and I are such a good team. We regularly just take five minutes to check in with other and often know what each other is thinking. Although I was there for Dan when he needed it, I know without question, he would return the favour if it was ever the other way round. In the ambulance service, we like to have this feeling that we’re bulletproof, and sometimes you can feel a bit ashamed to admit that there’s something wrong with you. At the end of the day we’re human, not robots, and hopefully by talking, we can encourage others to talk and seek help if they need it. 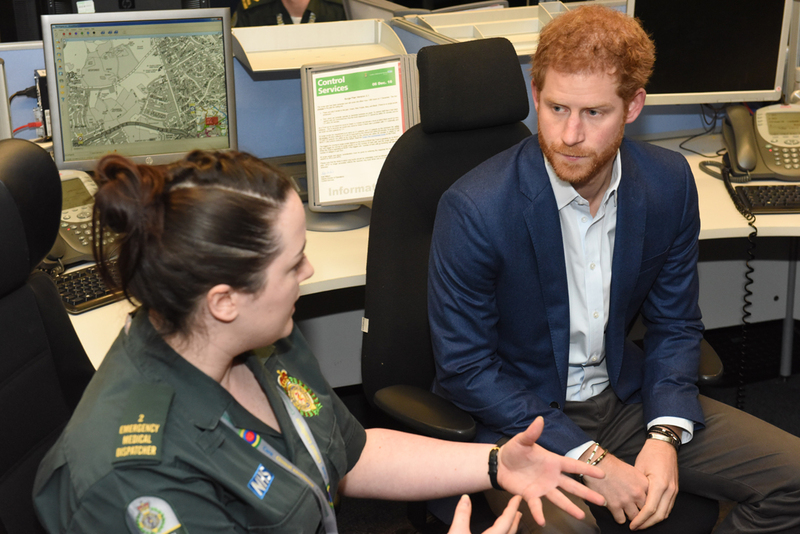 Dan and I are currently Champions for Mind’s Blue Light programme, which provides mental health support for emergency services staff and volunteers across the country. We’d like to thank you for reading our story.